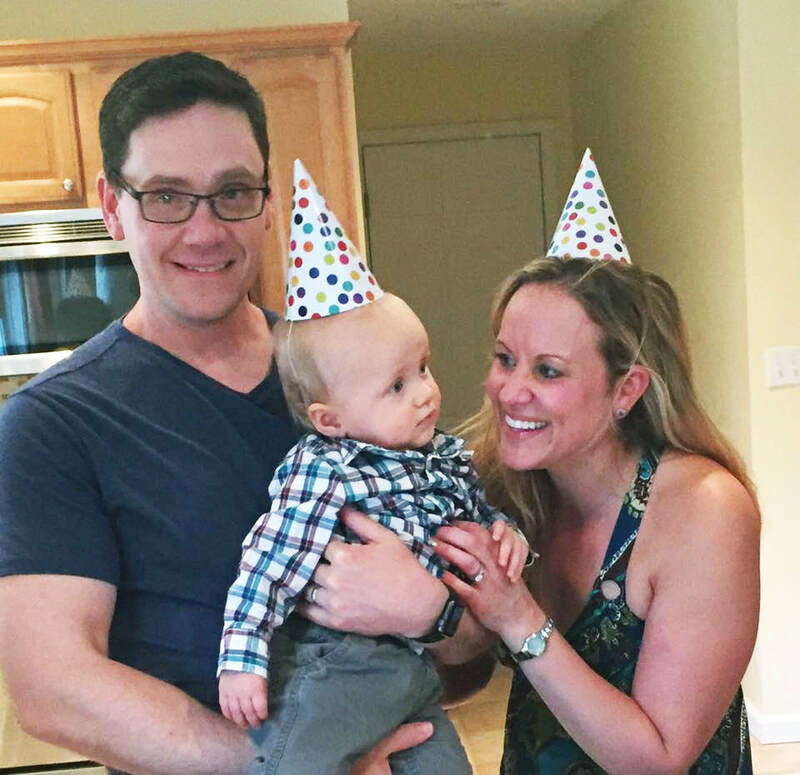 The Hanecak Family: Jay, Owen and Karyn, celebrating Owen's first birthday in May of 2017. On May 6th of this year Owen turns 2 and his treatments for cancer will continue. Our kick-off effort revolves around this family so read on and understand how important YOU are to our dream, but more importantly...to their dream. A one-of-a-kind reel could be yours. An ALL blue reel ZeeBaaS 25/27 combo is representative of Owen: blue because he is a boy and built to handle anything. The orange maintenance cover drag knob is the only other hint of color on this reel and it represents the color of the cancer little Owen is fighting (ALL: Acute Lymphoblastic Leukemia). Anodization: The reel body is bead-blasted and parts are polished, creating a unique 2-tone effect using 1 solid color. 2 Reels in 1: a ZX-25 with an interchangeable ZX-27 additional spool for growth. Price: $1,300 if it was a regular stocking reel, but it's far from that. The chance to help Owen win this fight is PRICELESS. Make his DREAM REAL. For every $10 you donate to the family you get 1 chance to win this reel. Give $30 and get 3 chances to win. Meet the Hanecak family, proud parents Jay and Karyn and little Owen, who is currently battling Leukemia. Words cannot explain what this family faces on a daily basis, but we can say that they are hitting it head on with full and confident support for their child. For those of you who do not know, Owen undergoes medical treatments sometimes on a daily basis. Between the medicine and transfusions this is not an easy fight for him or his family...from an emotional level to a financial level. A situation like this could cripple a person or an entire family, leaving them hopeless. We are in the position to be able to help ease the pain, but we can't do it alone. 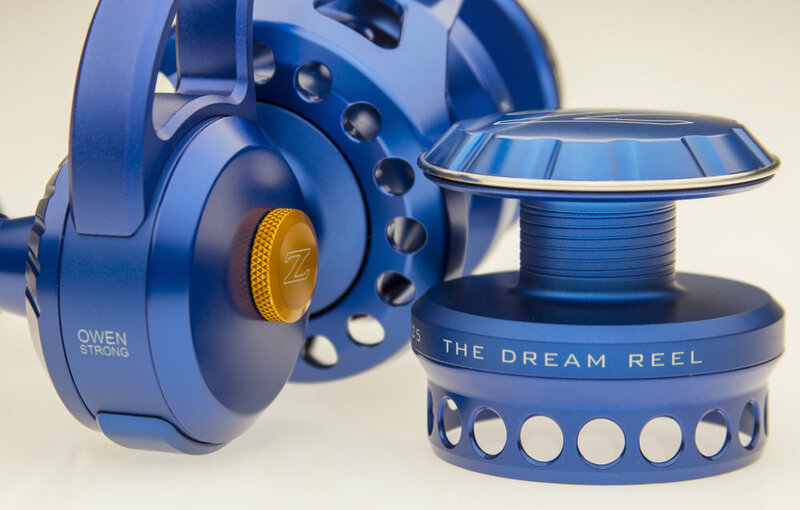 To help the Hanecak family we created this one of a kind "DREAM REEL" combination (ZX27 and ZX25) and are giving you a chance to make it yours. The link below is a direct link to a PayPal account the family established so we can drive 100% of the donations to them, and award a lucky winner with this one-of-a-kind ZeeBaaS Spinning Reel. How does it work? It's simple! For every $10 you donate to the Hanecak family we will give you a chance to win this reel. If you donate $30 we will give you 3 chances (and so on). Our goal is set high for this family and we cannot do it alone, but together we can. Feel good about giving today and giving hope to Owen and his family. How are proceeds distributed? 100% of the proceeds go directly to the family. No deductions from your donations will be made to pay for THE DREAM REEL ZX-25 and ZX-27 combination or any of the promotional effort. Play a winning part and help Owen and his family livestronger. Owen and his parents Jay and Karyn are forever grateful for your support, and we are as well. Please donate today and share this link with others you know in hopes that they read this message and find it in their heart to help. Product Photography by Curtis S.